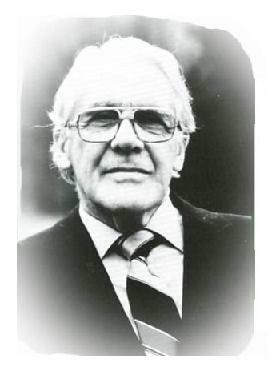 Leonard Ravenhill was one of Britain’s foremost outdoor evangelists of the 20th century. God used him to help bring thousands of people to Christ throughout Britain. Unlike the case with many of today’s evangelists, the conversions that Leonard helped to bring about were generally lasting conversions. That’s because he did not water down the Gospel when he preached it. Later in life, Leonard and his family moved to the United States, where he worked with Bethany House Publishers. In the 1980s, Leonard and his family moved to a home near Lindale, Texas, a short distance from Last Days Ministries. Leonard regularly taught classes at Last Days Ministries, and he was a mentor to the late Keith Green. A. W. Tozer, who was a friend of Leonard, said this about Leonard: “To such men as this the church owes a debt too heavy to pay. The curious thing is that she seldom tries to pay him while he lives. Rather, the next generation builds his sepulcher and writes his biography—as if instinctively and awkwardly to discharge an obligation the previous generation to a large extent ignored. “Those who know Leonard Ravenhill will recognize in him the religious specialist, the man sent from God not to carry on the conventional work of the church, but to beard the priests of Baal on their own mountain-top, to shame the careless priest at the altar, to face the false prophet and to warn the people who are being led astray by him. I first met Leonard in 1989, when he was eighty-two years old and in frail health. At first glance, I would not have thought that God could still use this fragile, white-haired man. He walked slowly and unsteadily, and he sometimes needed help to get up and down from his chair. Yet, as soon as he opened his mouth, I immediately realized that my initial impression was wrong. At eighty-two, Leonard still spoke with fire and conviction, and it felt like his eyes were piercing right through to my soul. During the last few years of his life, Leonard moderated a prayer meeting held once a week (later once a month), which was attended primarily by pastors and evangelists. Some of these men made a four-hour round trip to attend those prayer meetings. I attended those prayer meetings from 1989 until they ended in the summer of 1994, a few months before Leonard’s death. During the years that I attended those prayer meetings, I never once left without being deeply challenged by what Leonard had said.